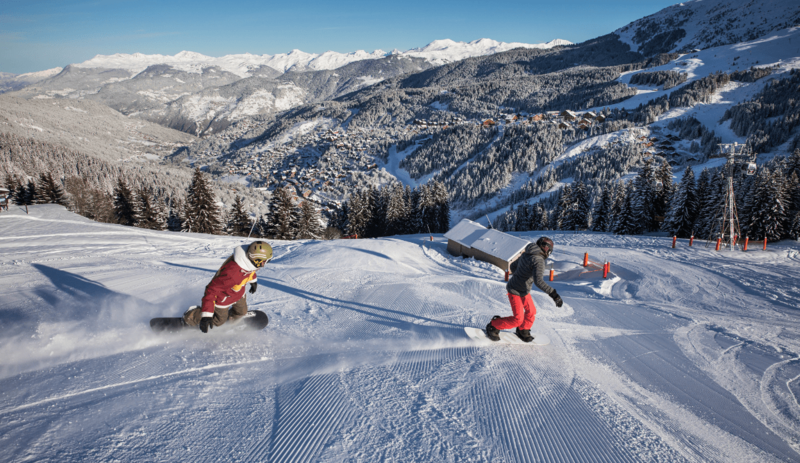 Méribel is well known for being part of The Three Valleys, which is considered the world’s biggest linked ski area, housing 600km of runs between all three areas. Due to its immense size and the nature of its location, you’re not bound solely by the one resort. 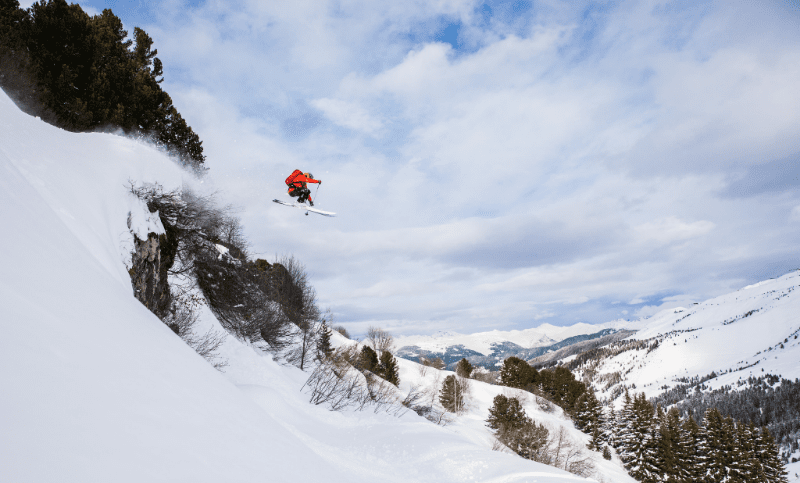 Instead you also have access to Courchevel, La Tania, Brides les Bains, Le Praz, St Martin, Les Menuires and Val Thorens through a single ski pass. Méribel itself is a stunningly beautiful town, and strict planning regulations result in the preservation of its original Alpine character and charm. Instead of a concrete jungle of tower blocks, you’re treated to the authentic mountain look upon arrival. The resort also has some of the most stunning luxury chalets the Alps have to offer. Not only are you treated to a gorgeous interior (as well as breath-taking views as soon as you step outside) you’re also treated to private transfers, a team of qualified chefs, and even a nanny service. One of the worst things to afflict your ski trip is the absence of snow. The weather in the Alps isn’t totally consistent, meaning some places can have bad years where there isn’t much snowfall. Méribel, regardless of any changes in weather patterns, is effectively guaranteed snow. Even when snowfall is reduced across the Alps, the resort is well equipped with the best in snowmaking equipment – this means they can create enough artificial snow to make up for any lack in natural snowfall. The snow cannons are 3 metres high and shoot out huge amounts of artificial snow, which is then distributed by the piste bashers over the existing layer of snow. A trip to Méribel means not being on edge about whether you’ll be seeing ay snow upon arrival. Instead, you can rest easy knowing there will most definitely be snow awaiting you, no matter what you hear regarding other parts of the Alps. Méribel’s lively après-ski doesn’t go unnoticed. Once you’ve exhausted the slopes and the evening draws closer, there’s no shortage of bars and pubs to frequent. Head to Le Rond Point for a beautiful sun terrace and live music. This place has been Meribel’s staple for après ski for the last 30 years – this hasn’t gone unnoticed either, with Le Rond Point regularly being voted as one of the best venues for après-ski worldwide. The terrace is consistently packed with tourists and is the perfect place to enjoy a drink or two in the evening. Copiña is another excellent venue – it’s also the newest addition to the already extensive list of Méribel bars! Boasting a wide selection of craft beers, world wines, and cocktails (considered the best in town) alongside an authentic Spanish tapas menu definitely warrants this place a visit. Another one to tick off the bucket list would be the spectacle that is La Folie Douce. The venue is known for its rowdiness and exuberant atmosphere each afternoon, alongside the live cabaret show (a truly unique experience for any Alpine visitor). No trip to Méribel, however, would be complete without a visit to the Lodge du Village. The Lodge is a legendary venue with an incredible menu, a famous happy hour between 4pm-5pm and stunning Alpine views from the balcony. Good food and good views abound, this is the place to be for a memorable après-ski. Whether you live to eat or eat to live, you won’t be going hungry at Méribel. The cuisine across the resort is both varied and delicious. If you’re seeking out family friendly options or fine dining venues, there’ll be something to satisfy your needs. If you’re feeling for some good quality pizza, the Pizzeria L’Igloo is your go-to choice for cheap (but delicious) eats. If you want something a little bit out of the ordinary (when it comes to The Alps), then try Tsaretta Spice for some impeccable Indian dishes. La Terrasse is another popular mainstay at Méribel – open all year round and kitted with a sun-trap terrace (in use no matter the weather), people come for the food, the views and the beers! A wider variety of authentic cuisines aren’t hard to come by either. Head over to Le Cêpe for some authentic French cuisine hosted in a comfortable venue with an incredibly friendly atmosphere. For the Savoyarde experience, go to Le Fromagerie and indulge in some of the best fondue you’ll find in the Alps. The Three Valleys in general is known for being home to several Michelin starred restaurants. La Bouitte, for example, is a 3* Michelin restaurant and is a focal bragging point for Méribel. This comes as no surprise, as its consistently referred to as one of the best restaurants in the entire world. As you can see, Méribel offers no shortage of services when it comes to food. From Chez Kiki for the epitome of a perfectly grilled steak, to La Bouitte for its worldwide acclaim, right down to Pizzeria L’Igloo for its cheap but delicious food, there’s truly something for everyone. Finally, Méribel has an incredible live music scene. This makes a lot of sense, seeing as Méribel holds most of the bookings made across the Alps. As a result, the resort is a hub for amazing talent. As mentioned previously regarding the après-ski, the music gigs are lively and raucous, attracting many people for the energy, atmosphere and talent on display. 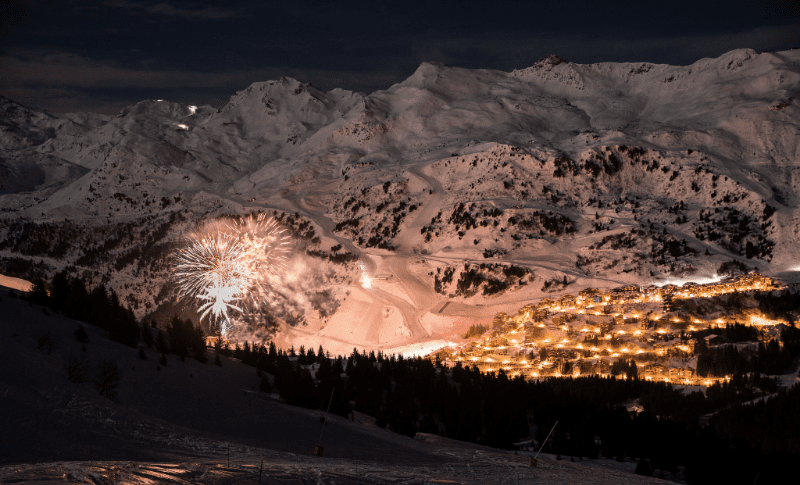 Méribel is no stranger to big name artists and DJs. If you choose Méribel for your next ski trip, you may end up seeing a famous face or two! So, if you do decide to pick the resort for your next ski trip (and we highly recommend that you do), then make sure your journey is just as enjoyable as everything else Méribel has to offer. Book yourself a private transfer from the airport to your resort for the smoothest possible experience, and make sure you’re set for a truly memorable holiday!